A guide to running in Jasper National Park, Alberta. 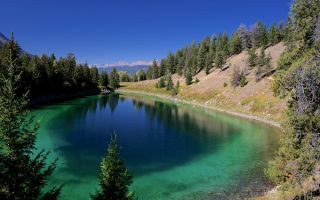 Best places to run in Jasper National Park. Jasper National Park is the largest in a series of national parks in the Canadian Rockies, bordering Banff National Park to the south. Some 2 million people visit this geographically spectacular area every year to enjoy its soaring mountains, countless lakes, glaciers, and deep woodlands. 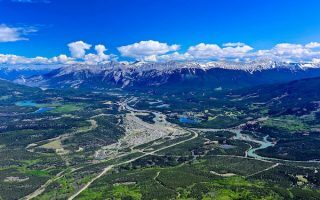 Like Banff, the area is also an outdoor playground, popular for hiking, skiing, and cycling, among other pursuits. There are also excellent running options, using the area’s extensive system of paths and trails and extensive roadways. The JNP Site has excellent maps for downloading: Summer Guide, Hiking Guide, and Cycling Guide. Our guide to running in Jasper National Park is divided into four sections: best spots in the town of Jasper, the area’s commercial center; the network of paths and trails within a few km of town that are good for running; some gorgeous sections of the 233 km Icefields Parkway — one of the most spectacular drives in the world; and some quieter roads suitable for running. For more, see our guide to the neighboring Banff/Lake Louise area. Notes: Some roads/trails might be closed/not maintained in winter. It can be very cold — bring appropriate clothing! And be aware of bear and elk, in season. We recommend bringing bear spray and not running alone on more remote trails. A good variety of running options. The signature run is the 8.1 km Jasper Discovery Loop. The main roads in town have sidewalks, and are great for exploring on foot. The Bighorn Trail and Wapiti Trail head out from town and are good for running. 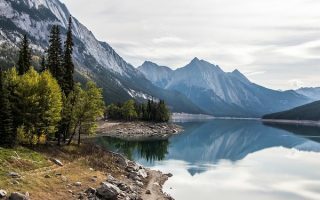 For those who want to hit the pavement, the best options are: roads in the town of Jasper; sections of the spectacular Icefields Parkway; Camground/Whistlers Rd; the road along Pyramid Lake and along Medicine Lake; and Snaring Rd. Best bets for running are the series of trails just east of town across the river, including loops around Lake Annette and Lac Beauvert. From town, the Bighorn & Wapiti Trails are great. 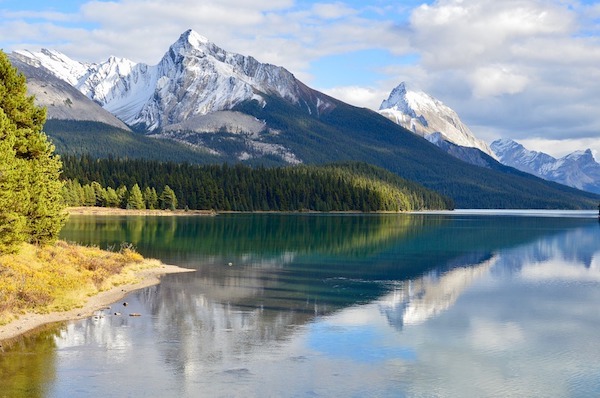 Another favorite is Valley of the Five Lakes, 9 km south of Jasper. 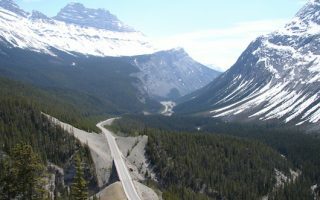 The 233 km Parkway between Jasper and Lake Louise is considered one of the most scenic drives in the world. Even though it's a highway, it is runnable, since there's a decent shoulder. We highlight some of the best sections for running. The climate in Jasper is very similar to that of Banff — except it’s a little drier and the altitude in town is about 1,000 feet lower. The area features cold, occasionally bitter winters and pleasantly mild summers. Mid-summer high temperatures are typically sunny and average a perfect-for-running 21C (70F), with cool nights, dipping to 8C (mid-40s). Always have a layer! Winters are cold and snowy. Average high temperatures in January-February are -5C (20F), and lows are -14 (10F). BUT, there can be bursts of bitter cold, well-below zero. In winter, be prepared for snow and ice that can last from late October to early April. See also information on roads/trails that are closed in winter. Most of the hotels are located in and near the town of Jasper. Of course, there’s the famed Fairmont Jasper Park Lodge. There are also numerous camping areas. There are no running-specific stores in the Jasper area. But there are several outdoor sports stores in town where you can find running gear, though a bit more oriented toward trail running. See our area overview map for names and locations. Ahotu Marathons has a good page listing running events in Alberta. You’ll have to search by preferred area.